The information presented on this page was originally released on June 29, 2015. It may not be outdated, but please search our site for more current information. If you plan to quote or reference this information in a publication, please check with the Extension specialist or author before proceeding. 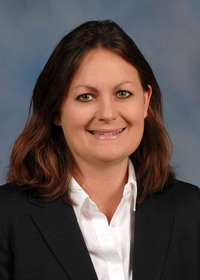 Jane Parish, an Extension and research professor in the university’s North Mississippi Research and Extension Center, will lead the organization, which works to connect science and industry to improve beef cattle genetics. 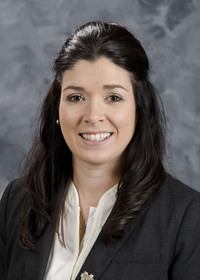 Parish, who is based at the Mississippi Agricultural and Forestry Experiment Station Prairie Research Unit, took over the leadership position at the 47th Beef Improvement Federation Annual Convention and Research Symposium on June 11 in Biloxi, Mississippi. Parish conducts research on applied beef cattle production systems and is a beef cattle specialist with the MSU Extension Service. She earned a bachelor’s degree at Texas A&M University, a master’s degree at Texas Tech University and a doctoral degree at the University of Georgia. She also completed an MBA at Mississippi State. The Beef Improvement Federation was formed in 1968 as a means of standardizing programs and methodologies, as well as to create greater awareness, acceptance and usage of performance concepts in beef production. More information about the Beef Improvement Federation is available at http://www.beefimprovement.org.